Get Ready. Get Set. GO SLEEVELESS! I'm Ready To Go Sleeveless! Ladies, my new arms can make a world of difference in your wardrobe... and in your life! Have you noticed recently that you’re not wearing as many (or any) of your sleeveless clothes like you use to? Do you wear that cute sleeveless dress only to find yourself covering your arms with a shrug, sweater or shawl? Frustrated that you can't wear that beautiful dress to the special event? Find those evening gowns stuck in the back of your closet because their sleeveless? And what about those stylish tops for sporting events (golf, tennis, and yoga)... are they still buried in the bottom of your dresser drawer? Are you soon to be the Mother-of-the-Bride, Maid-of-Honor or Bridesmaid but fear wearing that gorgeous dress because your arms may not quite be pictured-perfect right now? The days of covering up beautiful clothes are over. 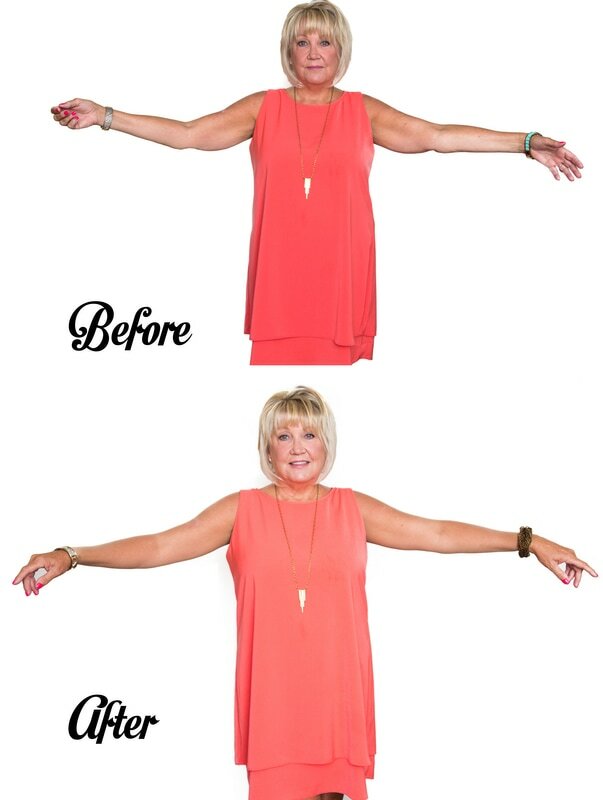 Now you can Look, Feel and be Confident again in all your sleeveless dresses, gowns, and tops when you wear My New Arms®. 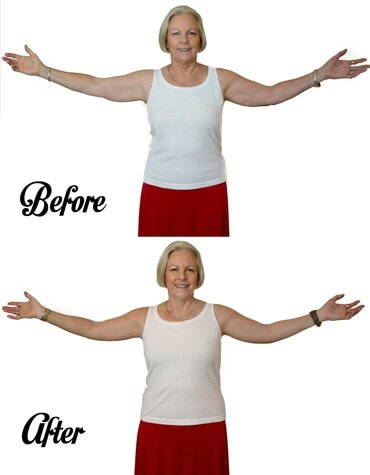 Regardless, if you’re a Baby Boomer, over fifty, have recently lost weight or are disenchanted with your arms because they are flabby, crepey, jiggly, atrophied or slightly scarred… now you will be amazed by this revolutionary undergarment! The subtle elastic wristband holds the sleeve in place and keeps arms taut and firm. Simply wear a bracelet and/or watch to cover the wristbands. Our specially selected shades will match your skin tone close enough that most folks won't even realize you're wearing anything on your arms. Instead, focus will shift to your beautiful face and that fabulous outfit you're wearing. Too good to believe? Yes, finally an affordable solution to a common beauty challenge for millions of women today. Check out the short video below now and see for yourself! "Breathes as you move. Very comfortable....and definitely covers a multitude of sins!" "I had to see it to believe it. Wearing My New Arms is amazing." 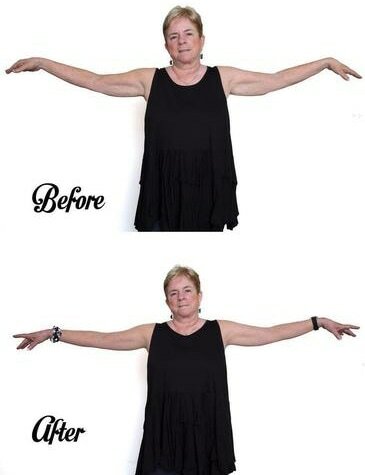 "It's the first time in years I haven't felt self-conscious of my arms. My New Arms is the perfect accessory to my wardrobe." "Makes me look -- and best of all really truly FEEL -- 40 years younger. Party time! (I am 62.)" "My New Arms is what I've needed for my arms. It perfectly conceals my unsightly spots & sagging skin like nothing else could do." "I have found a whole new/old wardrobe to wear again in my closet with My New Arms!" 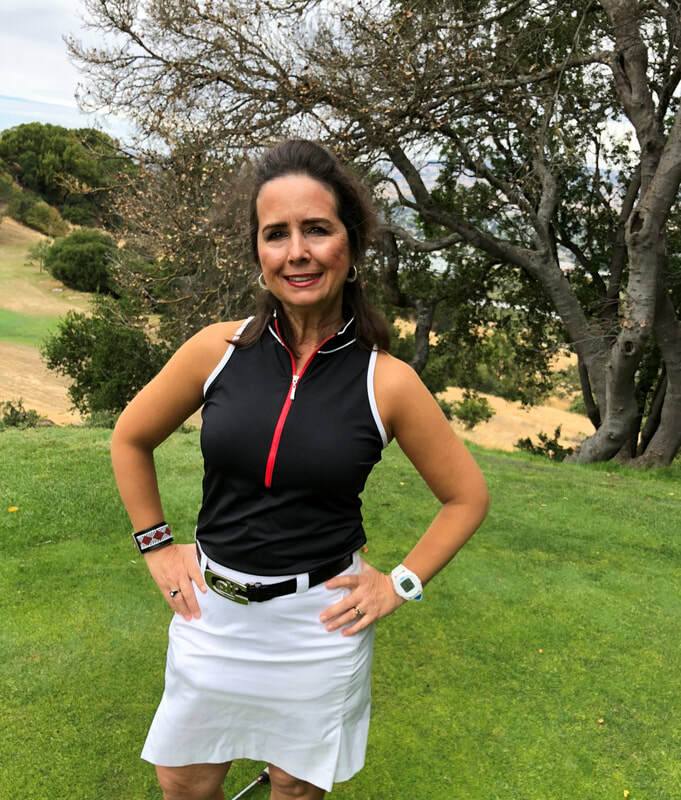 Marti Evans loves playing golf in her 'My New Arms'!